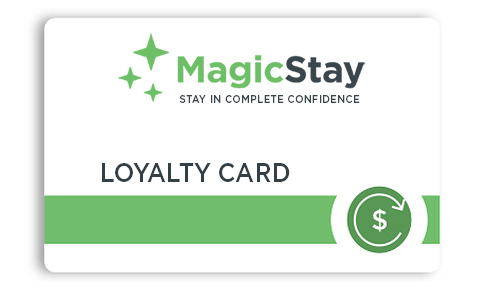 The Magic Loyalty Card allows you to earn points for each reservation made with your account. The accumulated points will be converted into a reduction for your next reservations or as gifts. Join our Magic Loyalty loyalty program for free to earn points for each booking and benefit from discounts throughout the year. Connect to your account to consult your points and benefit from advantages.